Welcome to Day #19 of South American Chocolate Theme Weeks. Today we're moving from Ecuador to Peru on our virtual trip through South America. And what better way to do so than with a bar made from a blend of cacao from Ecuador and Peru. 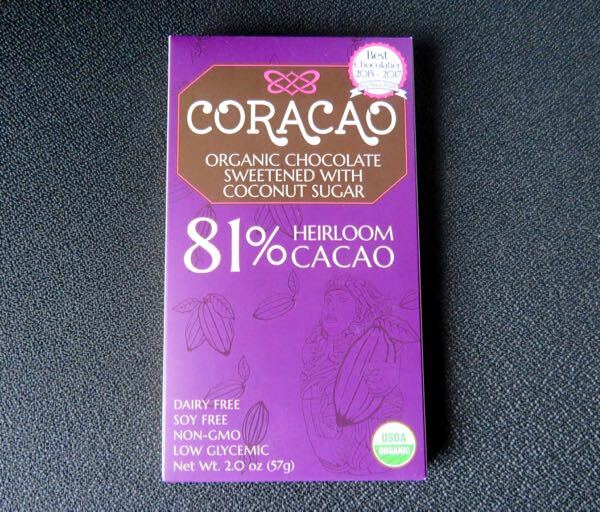 Today's organic, 81% Heirloom Cacao bar was made by Coracao Chocolate* (Oakland, CA) and was sweetened with coconut sugar. The bar had an intoxicating aroma of hot chocolate, light coconut, fig spice cookies and a light, floral green note. All this from a blend of organic cacao, coconut sugar, cacao butter, vanilla bean and Himalayan salt. 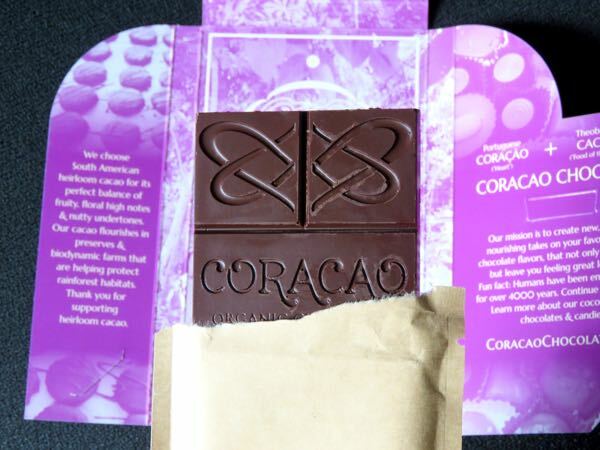 Despite the high 81% cacao percentage, this was a relatively pleasing and sweet chocolate bar, with a buttery melt (added cacao butter) and a smooth, stone-ground consistency. Over the years, the company has moved to doing more of their own, small-batch stone-grinding in house. Cacao, coconut sugar and salt (and perhaps vanilla bean?) are ground together over a period of days. The result: a smoother blend than many other stoneground bars, with just enough even, balanced texture left-over that you're still in touch with the real ingredients. 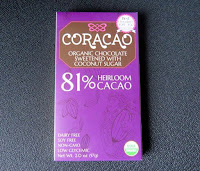 This Coracao bar was dairy free and soy free, and was labeled low glycemic (coconut sugar). All the satisfaction of a confection or cookie, but without the sugar buzz. 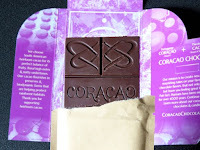 *The company's name, Coracao, is a fusion between the Portuguese word for heart (coracao) and the name for the cacao plant (Theobroma cacao -- cacao that is "Food of the Gods"). 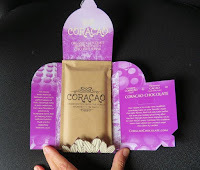 Coracao + Cacao = Coracao. (Coracao Confections and Coracao Chocolate both refer to the same SF Bay Area company located on the border of Oakland, CA and Emeryville, CA.